When you listen to the classics you tend to get a sweet spot in your heart for the venues that allowed for the “magic” to happen. I know there are many historical places like this in New York (Cafe Wha, Cafe Au Go Go, CBGB) and it is fun passing by them and realizing what rich musical history occurred within the auspices of that building. This is why whenever I hear of a classic rock venue that may be shut down, I shed a tear (like the “Keep America Beautiful” crying Native American). Well, the tear is dripping from my face. Here is the story of the Starlite Ballroom, which has been threatened with demolition. Located in the United Kingdom (specifically on Allendale Road in Greenford – northwest of London), the Starlite Ballroom featured an incredible list of well-known 60s artists. Ready for the list? That is quite the list. Pink Floyd, The Easybeats, The Animals, Cream David Bowie, The Troggs – heck I’m just going to repeat the entire list above. Most of these bands were knee-deep in the musical explosion of the 60s and this venue saw them at the beginning. Notice the Quiet Five there? We did a post on this excellent underrated band back in February which you can view here. 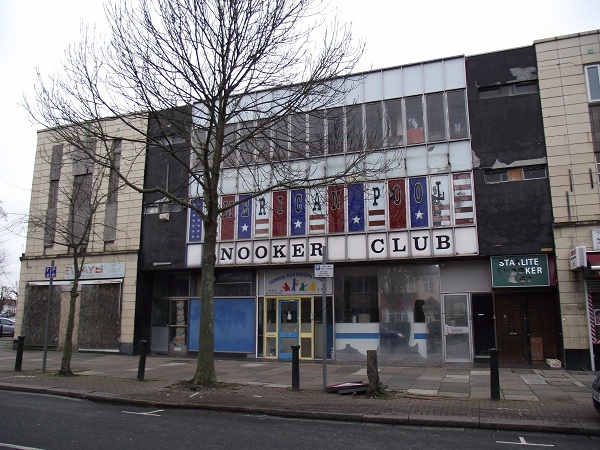 After it was abandoned as a music venue, it became a snooker club and has now fallen into disrepair, which is unfortunate because you would hope classic venues, especially those that sat more than 1,000 people, would spark more historical society empathy. Before the venue held concerts, it opened as a cinema on September 16, 1935 with a showing of “The Mighty Barnum” starring Wallace Beery. It remained a cinema until 1956, when it was gutted and turned into a concert hall. Do you want to help with the efforts to save this little piece of music history? There is a Facebook page devoted to it which can be accessed right here. The about section includes a little more about the venue and some plans of how to mold it into something else without subjecting it to the wrecking ball. Help out if you’d like! Also, there is a theme that goes along with this post. You will have to wait until Memorial Day to find out what that is! Have a happy long weekend! I’ll send an email to the guy too. I felt the same way when CBGB and The Bottom Line closed in NYC. Saw a lot of gret shows at The Bottom Line. I am writing to ask you to please preserve the Starlite Ballroom. It’s rich history in the roots of rock and roll make it a space that should be cherished and preserved for future generations. Whether used as a community center or an educational facility or some ohter purpose, the building and what was done there is too important to destroy. Thank you, and keep on rockin! That looks good to me. I hope a few emails can sponsor a change in the current plan! Have a great memorial day! Great call, John. So true. And a great song as well.